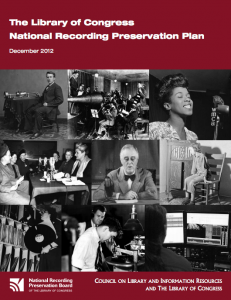 The National Recording Preservation Foundation is an independent, non-profit charitable corporation established by the U.S. Congress for the purpose of supporting archives, libraries, cultural institutions and others committed to preserving America’s radio, music and recorded sound heritage. Where appropriate, it will also assist privately-held collections and commercial archives that may have been damaged through the ravages of time or random acts of nature when those holding them cannot do so with their own resources. Importantly, the Foundation will help to further database and digitize our vast and often hidden treasures — delivering them to the nation at large. As a public/private partnership, the NRPF works closely with the Library of Congress and its experts and is dedicated to putting into practice the priorities and procedures of the National Recording Preservation Act of 2000 and the National Recording Preservation Plan. The Act aims to form a comprehensive national program to ensure the survival, conservation, and increased public availability of America’s sound recording heritage. The other two components are the National Recording Registry and the National Recording Preservation Board, whose objective is to advise on the selection criteria for the Recording Registry and to review and recommend nominations for the Registry. The NRPF maintains an independence that lends it great flexibility in fund raising and the setting of priorities and practices. These are largely determined according to the broadest concerns of the preservation community at large and the guidelines of the Foundation’s advisors and Board of Directors. 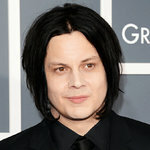 It is therefore uniquely positioned to raise the necessary funds, marshal the expertise of skilled professionals, and reach out to the recorded sound community, collectors and archives to build support for preserving our nation’s audio treasures.